Can you believe that we are heading into Term 3 of 2011 already? I can't. Life is speeding by us that's for sure and so is my youngest Evie. Yes, it should be no surprise to my students who saw those tentative first few steps in the final weeks of last term that Evie is now in full throttle and we are all on High Alert. EVIE KNIEVAL IS ON THE LOOSE. No dance floor is safe. The Slack-Smiths have enjoyed a fantastic two weeks AT HOME. Sure, we've been out and about ( normally not until at least 11am) and only then when we can chisel our PJ's off. So, what's been happening except for Evie's Flights of fancy??. Well, Miss Ondine celebrated her 9th birthday with 37 of her nearest and dearest. To all who were out on the streets of Dubbo on the 2nd July, yes that Party Bus was a rockin. We all had a great time. Onny felt very special to be surrounded by her dance friends, school pals and her family. We also had Molly Nelson, A Stepping Outer and good friend of Onny who shares the same birthday and once the same hospital along for the ride. So, Happy Birthday Molly too. That same weekend we had the Keenans, better known in the dance world as the AMAZING Dance Unlimited stay with us. 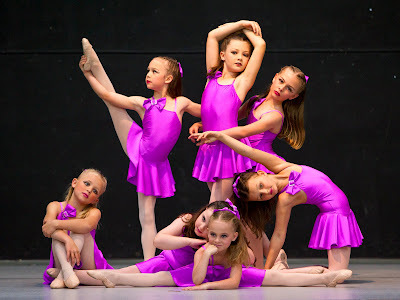 So, our little house was home to 9 kids but a great time was enjoyed and Miss Tanya ( Principal of Dance Unlimited) and myself brain stormed each other's concert ideas into the wee hours. Stepping Out took to the stage for the Bridal Fair on Sunday, 3rd July with outstanding performances by Ondine Slack-Smith, Rhiannon Griffith, Caitlin Griffith, Brinley Catto, Zaidee Catto, Imogen Slack-Smith, Paris Burns, Brandi McGuire, Melissa McDonald, Jess Riley, Amelia Simpson, Kate Delmoro, Courtney Hart, Alyssa Lambert. I know my girls and Bella Keenan had a lot of fun at the Chocolate Fountain while I entertained my own bridal fantasises for my own poor children when they finally say I DO. 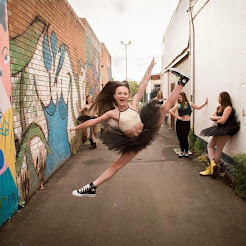 Caitlin Griffith, despite battling pneumonia travelled to Sydney with her family to audition for the Australian Ballet Interstate Program. Caitlin really enjoyed the experience especially having Bloch staff at both Bondi and York St drooling over those beautiful feet of hers. Paris Burns danced at City of Sydney Eisteddfod and was delighted to be awardec HIGHLY COMMENDED in the Ballet Championship. Now as much as I believe in all of my students, I must admit I was blown away as I am aware how incredibly strong the competition is with so many already being in Full Time Dance Study so we were chuffed. My kids all got to spend some beautiful time with their beautiful friends. I can't believe how lucky we are to be surrounded by so many great people and so honoured that we can call them friends. I have had many, many enquiries from prospective students. 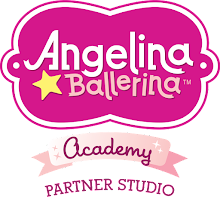 So, if you are a new family reading this, thank you, I really am delighted that you have chosen Stepping Out as the place for your special little person to dance. We are very excited to meet you and hope we fulfil the trust and faith you have placed in us. Miss Emma moved house in the holidays. Of course, she did. Miss Emma, as we all know doesn't like to be ever still so two weeks on holidays must have seemed like it needing filling with more than shoes. GO GIRL! I just received a message that her Forbes students have just received the most amazing results at Forbes Eisteddfod. YAY! Anthony Bartley attended Brent Street Winter Camp and I am sure has got us all some incredible new moves. I saw a few on Facebook. BOYS CLASS and HIP HOP watch out. I am a big Beatles fan. So many beautiful songs. I was really excited to share with my Junior Modern Performance team, one of my favourite songs. Our version is sung by Dolly Parton. Don't the girls just look gorgeous in their costumes? Who makes all of our beautiful costuming? Why, Sonya O'Connor of course. The sewing machines are on temporary hiatus but getting ready to whirr up for Concert time. Rehearsals will commence this term. Yes, it's that time already! Thank you to Narelle Bunt for keeping me informed on all the wonderful successes of Stepping Out kids at Forbes Eisteddfod during the last week. I loved hearing that tell tale beep beep and knowing good news was on its way. Great Work Girls! Stepping Out students who appeared at Forbes were Laura, Holly & Meg Keizer, Jade & Amber Bunt, Brandi McGuire, Melissa McDonald, Paris Burns. I hear they danced amazingly but more importantly had a fantastic time and were equally as fabulous off stage. Holly Keizer was awarded the ENCOURAGEMENT TROPHY for 8 years & Under, her second such special award this year and received outstanding places in all of her divisions. Likewise, Laura & Meg put in personal best performances and mum Darienne was very proud of all their successes. 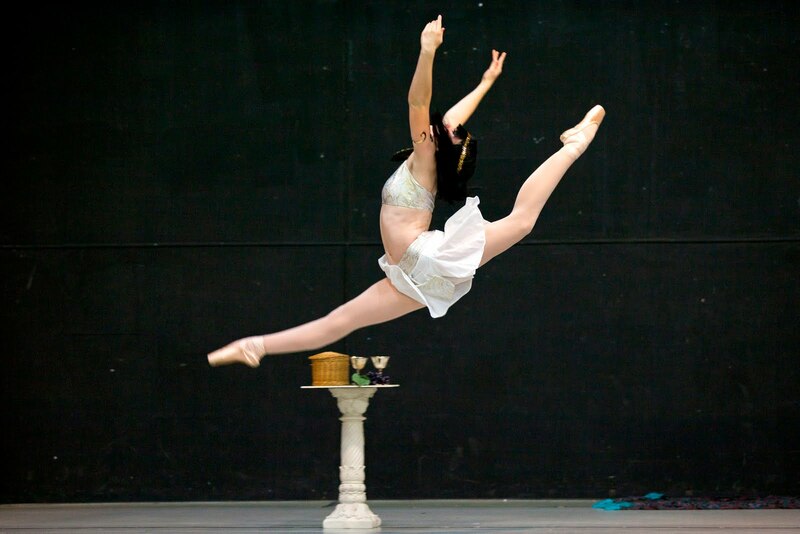 Paris Burns enjoyed a very successful Eisteddfod winning the Open Ballet Championship, the Open Modern Championship, the MOST OUTSTANDING DANCER TROPHY and most excitingly, the BALLET SCHOLARSHIP. Paris is cashed up! Great work everyone. As always, we are very proud of you regardless of your results. It's nice to win but a true winner is NICE! And you all are that and so much more. Bring on Term 3! 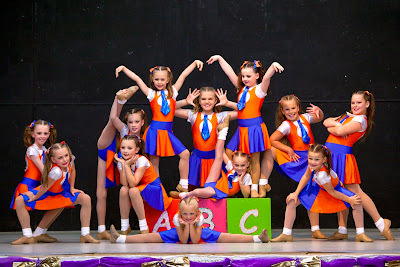 Even though we are all having a break from our ABC's with school holidays, seems there is no rest for our Junior Performance Team who were recently featured on WIN NEWS and were also invited to perform at the Grand Eisteddfod Concert. Congratulations Girls. 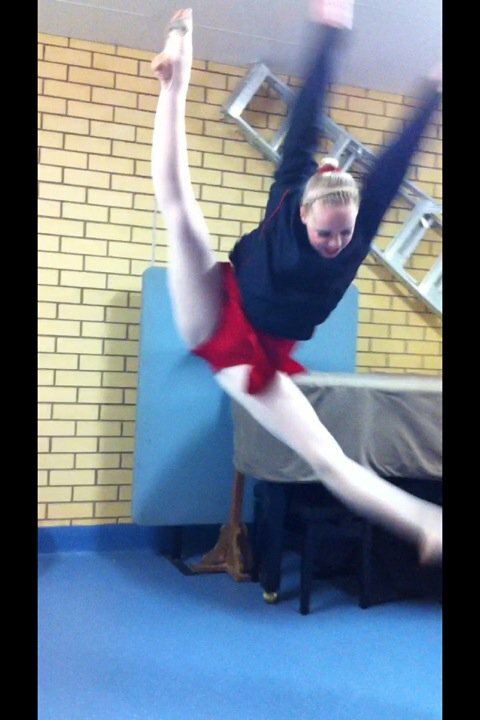 Paris Burns is jumping for joy after a successful performance at City of Sydney Eisteddfod. Congratulations Paris. We were amazed and delighted to hear that you received a Highly Commended in the 15 years Ballet Championship amongst such a huge and competitive field of stunning dancers. WOW!When you consider the large number of competitors and the standard of this world class competition, this is truly an outstanding feat. Well Done. Stepping Out Students appeared at the Dubbo Bridal Fair on Sunday, 3rd July. I DO, I Do, I Do believe they were a smash. CONGRATULATIONS TO ALL OF OUR AMAZING STUDENTS FOR OUTSTANDING PERFORMANCES DURING SOLO AND GROUP EVENTS AT DUBBO EISTEDDFOD. Congratulations also to all of our fellow competitors who shone so brightly and came together to celebrate a love for Dance & Performance. We really enjoyed the opportunity to share in each other's successes and of course, catch up on all the Razzle Dazzle associated with our Dance World. Stepping Out always participates with the philosophy that it's got to be fun and I was so pleased to see so many of our students embracing the Eisteddfod and being as fantastic off stage as they were on stage. My applause. Miss Emma and I were incredibly proud. So many great solo results that I fear I won't do them all justice. Stepping Out has lots of wonderful students entering as soloists now and it was a pleasure to share in your growth and development. Special Mention must be made to little Zaidee Catto who made her stage debut. Congratulations Zaidee. You were amazing and so brave to step out onto that stage and then do your "thang" with such aplomb. GO ZAIDEE and fancy getting first place!! Well Done. Fantastic performances were made by every one who danced and some notable results. As Stepping Out now has over 50 solo entries, space and time just will not permit to list every single placing but we were lucky enough to get some Major Award recipients. Congratulations to Paris Burns who was a FINALIST in the REVUE SCHOLARSHIP. Big Congratulations to Ondine Slack-Smith for highest pointscore by a local dancer ( Under 12s) and Brinley Catto for Encouragement Award. Caitlin Griffith also received a trophy for her Own Choreography. In the Groups, we were awarded 3rd place, 12 years and 10 years Under Modern. Highly Commended in Open Contemporary, Open Tap, 12 years Tap, 12 years Jazz. 2nd place in 10 years Jazz and 1st place Open Hip Hop.